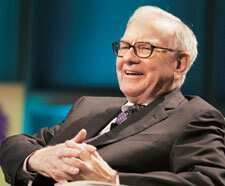 Despite his warnings against them, Warren Buffett doesn’t completely shun derivatives. He’s sold billions of dollars of them through his Berkshire Hathaway Inc. investment group. And with markets in a mess, he’s taking paper losses. But Berkshire has a huge financial cushion. That and Buffett’s management of investor expectations offer lessons for other mark-to-market sufferers. Second, it helps that Berkshire doesn’t borrow much. The company doesn’t have to post collateral on its derivative positions—provided, among other things, it doesn’t lose its strong credit rating. With little leverage, there’s enough of a buffer that even much bigger paper losses won’t trigger that. American International Group Inc., for one, found out the hard way that a vulnerable credit rating plus huge mark-to-market losses can quickly lead to downgrades and a life-threatening outflow of hard cash. Third, Buffett has always told shareholders to look beyond quarterly earnings and to keep in mind the somewhat artificial accounting effects at work on both the upside and downside.